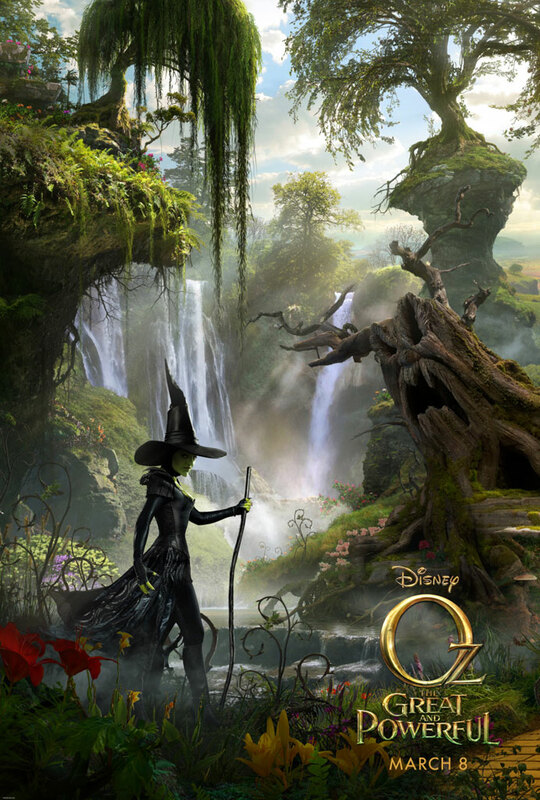 ‘Oz The Great and Powerful’ artwork reveal: Which witch goes green? It's Halloween, and one major star is dressing up as the Wicked Witch of the West. But who is she? Next March, Disney's "Oz The Great and Powerful" will take you back to the wonderful Land of Oz, but it's not exactly as you remember. The new movie tells the story of how Oscar Diggs (James Franco) was carried off from Kansas in his hot-air balloon and eventually became the Wizard of the magical place long before Dorothy ever dropped in. Take a look at the exclusive artwork reveal -- the first section of a three-part image -- below for the first look at the Wicked Witch. 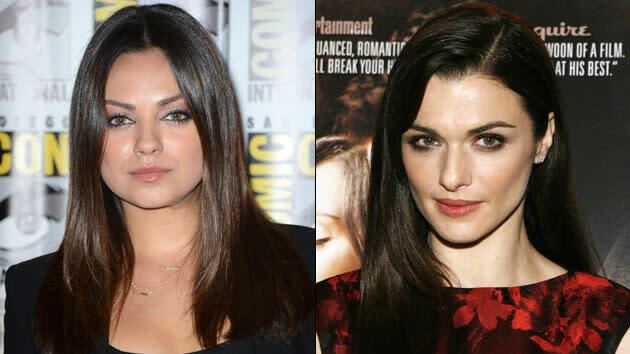 It's not entirely clear if that is Mila Kunis or Rachel Weisz. And the stars themselves aren't fessing up, either. At San Diego Comic-Con this year, Kunis told Yahoo! Movies that "There's a transformation amongst all the characters whether it be physical or emotional." But she did hint that, unlike her costar Michelle Williams, "I don't get the pleasure of little kids walking past me and [smiling]. I'll just say that." Directed by Sam Raimi, "Oz The Great and Powerful" will open on March 8, 2013.